Location: Tavira, Estrada da Fonte. Construction: approx 110 m2. Built in 2007. 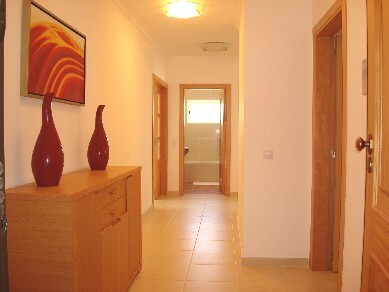 Situated on the edge of Tavira in a quiet cul-de-sac with underground parking and elevator. 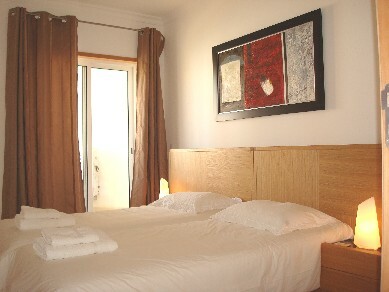 Decorated in neutral tones the apartment us very well equipped and ideal for families or couples. 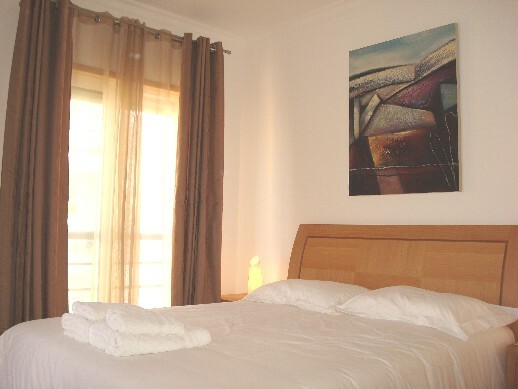 The accommodation comprises an entrance hall leading to the sitting room with sofa bed and access to lovely terraces, a fully equipped kitchen and shaded terrace, two double bedrooms with fitted wardrobes (one with twin beds, one with double bed). 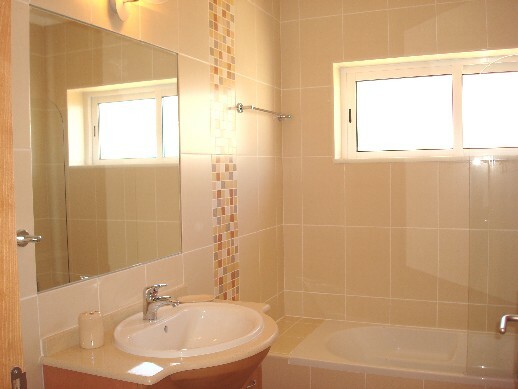 Modern bathroom with bath/shower. 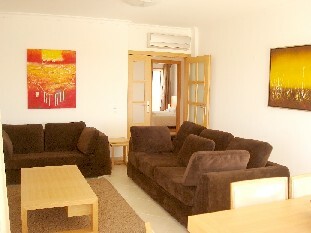 The apartment benefits from air conditioning for both heating in winter and cooling in summer. Satellite TV (flat panel), DVD/CD player. 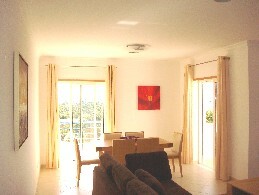 From this apartment you can quickly reach the EN-125 and explore the Algarve. A short walk away is a very good horse riding school and Tavira, with its cobbled streets and old churches, is only a few minute drive by car. Tavira has so much to offer all year round. The summer has endless hours of sunshine and endless stretches of white sandy beaches (all blue flag). In the long hot summer the center of Tavira comes alive after sunset with music and dancing in the cool of night. In the winter it is the right temperature for cycling or walking. The many different restaurants you can sample anytime of year! Faro: 30 km; Spain: 28 km; nearest golf course (Benamor): 2 km; Beach: 3 km; nearest restaurant: 600 mtr; Supermarket: 1.5 km; Tavira town center: 1.6 km; Train station: 3 km; Bus station: 2 km. Price is per month, excluding utilities. Minimum stay two months.